The Annual General Meeting of the Boxing Referees and Judges Association (BRJA) of Sri Lanka was held on Sunday 10th March 2019 at the Institute of Sports Science Torrington square, Colombo to elect office-bearers for the year 2019-2020. Capt. 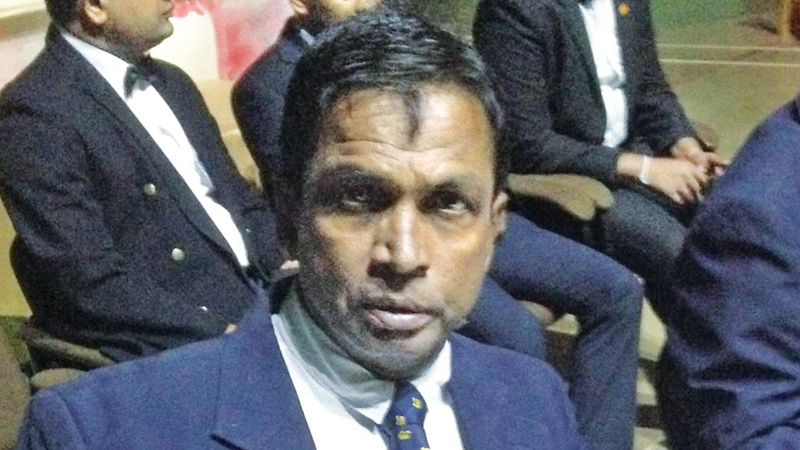 (Rtd) R.K. Indrasena, a former National champion and coach, was re-elected uncontested as Hony. President of the BRJA for a second term and pledged to raise the standard of boxing referees and judges in Sri Lanka. The two BRJA Vice Presidents are senior officials Major P.L.J. Ratnasuriya and Robert Wellington. “We will work in consultation with the Boxing Association of Sri Lanka (BASL) to improve the standard of officials by conducting more seminars and workshops this year. Our aim is to provide more opportunities for BRJA members to become qualified as international 1, 2 or 3-Star referees and judges. We plan to conduct a seminar in May for all BRJA members to update them with new rules. Former Sri Lanka boxers Sumith Prasanna and Ansar living in the United States will be sponsoring this seminar,” said Indrasena, a 2-Star International Referee and Judge of AIBA, the world body governing the sport. BASL President Dian Gomes and a Sports Ministry designated official Mr. Vajira Goonetilleke, were present to oversee the BRJA AGM which was conducted smoothly with all office-bearers being elected uncontested. “Our immediate task is to submit the BRJA constitution for approval by the BASL and conduct a seminar for members. We need the support of BASL to improve the quality of officials so that they can reach international standards,” said Indrasena, an International Technical Official (ITO) and 3-Star International Coaches Instructor of AIBA.